Have you ever had that really annoying moment when you’ve just fallen into a deep sleep and you hear your baby start to cry (in the middle of the night – it’s always the middle of the night)? You drag yourself out of bed, trip over a couple of toys, stand on a piece of Lego and try not to swear as you make your way down the passage, in the dark, to the kids bedroom. You get there and quickly realise that bubs is not hungry or thirstily, her nappy is good, and she’s not in any pain! The problem is……………… she’s kicked off the blankets AGAIN and the cold has woken her up (and consequently you too). Then just to add insult to injury, now that she’s up, she thinks it’s time to play, so don’t think about going back to your snug warm bed just yet mummy!!! I have always used sleep bags for all three of my children and I can honestly say that I swear by them. You might still need to use a blanket in the cooler winter months, but at least if they wearing a long sleeved babygro or onesie (to cover their arms) and they do happen to kick the blanket off (which they will, believe me), the chances of them waking up cold when they’re still nice and snug in a sleep bag are almost 100% less!! I can honestly vouch for that from my own experience!!! I was recently sent a beautiful winter sleep bag from Love to Dream to try out and review. 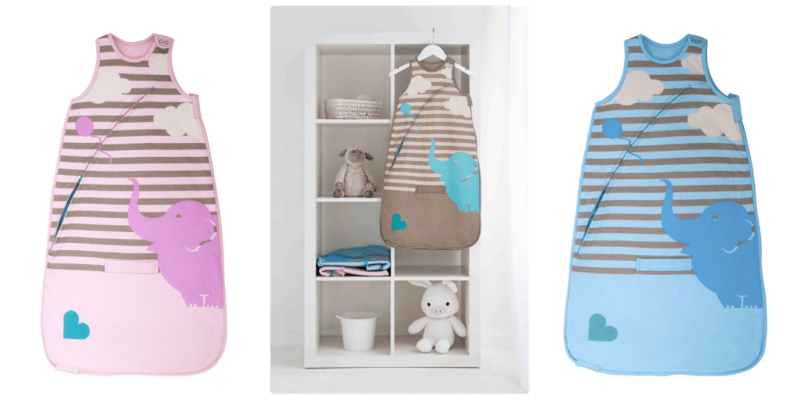 You might recognise their ‘Love to swaddle’ range which is fabulous and so popular with mums of tiny babies. 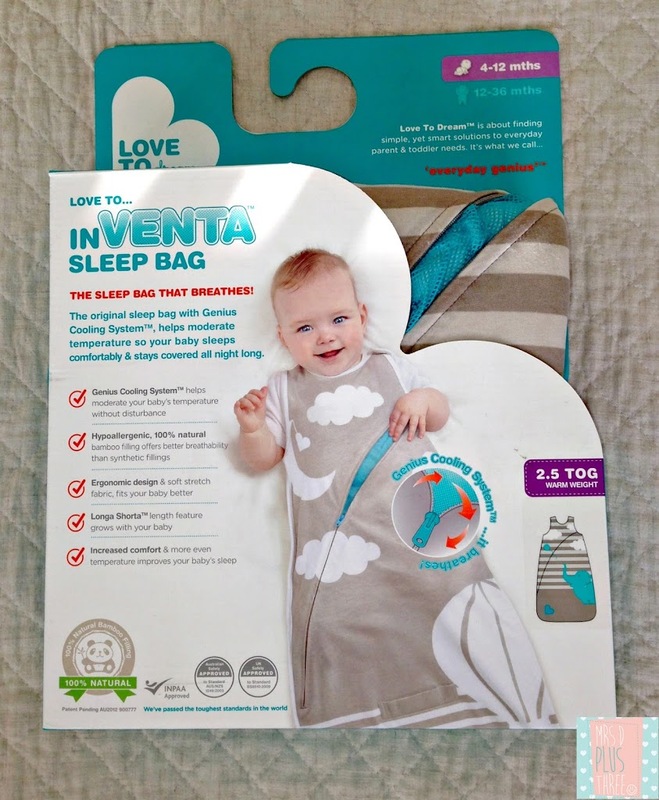 The sleep bag that we got for Miss L was the new winter 2.5 tog from the ‘Love to inVENTA‘ range which comes in sizes 4-12 months or 12 to 36 months. From the minute I took it out of the box I was impressed. It had a really super soft feel to it, and I’ve already washed it twice and the quality of the fabric is fantastic. Unlike the usual polyester filling the inVenta winter sleep bag is filled with 100% bamboo which is both breathable and antibacterial. The bit that I absolutely loved the most (and even Mr D was impressed) was it’s genius cooling system, which allows you to regulate your child’s temperature without disturbing them or waking them up. Each sleeping bag has two zips running across it (front and back) which when opened reveal a mesh fabric letting air into the bag. Too clever! They also have a back to front travel slot so you can put your child into a car seat (with a five pint seatbelt) without taking them out of their sleep bag. A very handy little feature indeed. That way if your bubs falls asleep in the car it’s so much easier to transfer them to bed without waking them. Miss L has the gender neutral beige bag with a cute little elephant on it, but you can choose pink or blue in a variety of different designs. Love to Dream have been really generous and given me a gorgeous Winter 2.5 tog inVenta sleep bag (pictured above) to give away to one of my lovely readers. You are guaranteed to love it. We do!!! 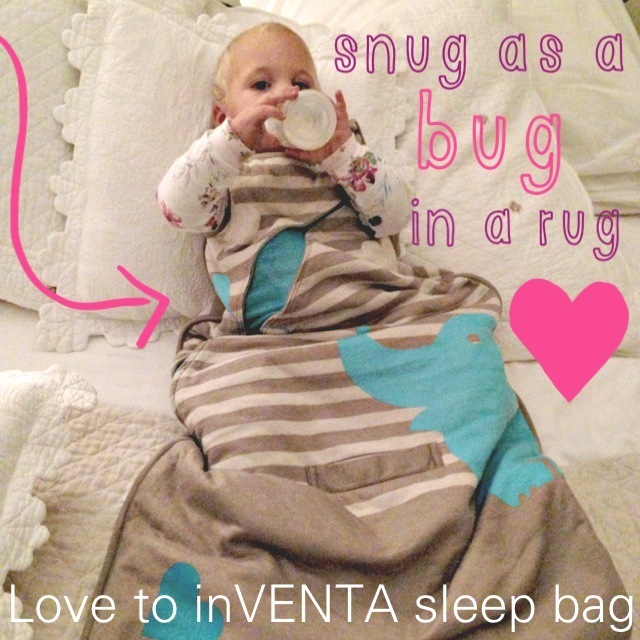 To enter you have to be an Australian resident and comment below telling me why you would love to put your baby or child in an inVenta sleep bag. I was not paid to write this post however I was gifted the gorgeous sleeping bag that Miss L is wearing from Love to Dream. We love it. All opinions and pictures, unless otherwise stated, are my own. Sleeping bag provides the perfect warmth in all conditions and mostly there is no need to provide extra blanket.There is less risk of the baby slipping underneath or wriggling out which makes the baby to sleep for a longer duration and mum also gets a chance to sleep well…..
I’m due with my first in a few weeks. These sound like a god send! To keep them warm. How warm do those sleeping bags look. I want one for me! You kinda have to have the kids in something like this especially if they like to kick the covers off. Thanks for linking to the Wednesday review. My little man used to be fine with a wrap, then progressed to a blanket with no problems. Until the day he learnt to roll. Now I cannot keep him covered at night! But a sleeping bag solves the problem, he can roll as much as he likes, the sleeping bag rolls with him! clearness in your publish is simply nice and i can suppose you are an expert on this subject. Well with your permission allow me to seize your RSS feed to stay up to date with forthcoming post. fine furniture. Teeth should be brushed twice or more times each day for around ttwo minutes and flossed at least one time each day. diet and vitamin supplements cannot only aid the prevention of cardiovascular disease but, in Dr.
world like Teide National Park. alsdo how you ccan cope with day to day life. assist in preventing heart disease but, in Dr. Annihilation is set to open on February 23, 2018.
for the function from finding out the suitable editorial procedure. capability to offer an efficient & life modifying nutrition guidance knowledge. from the Nutrition Facility at the Rose F.
Kennedy Kid’s Examination as well as Recovery Facility. data are actually informing our team. Page 1 from the Profile page performs this. As the years went by, we had to slowly taper off. It merely got less and less because we could not afford it anymore.” A year ago, they tried giving him the smallest quantity of therapy and it cost them $6,000. (KNHS) baseds on over Ten Years of child and also young child health and nutrition research coming from Nestlé’s groundbreaking Feeding Infants as well as Toddlers Study (FITS). this website is truly nice and the viewers are genuinely sharing nice thoughts. May I just say what a comfort to find a person that truly knows what they are talking about online.